Visiting gardens on tour is always fun, but they are not always at optimal bloom time. 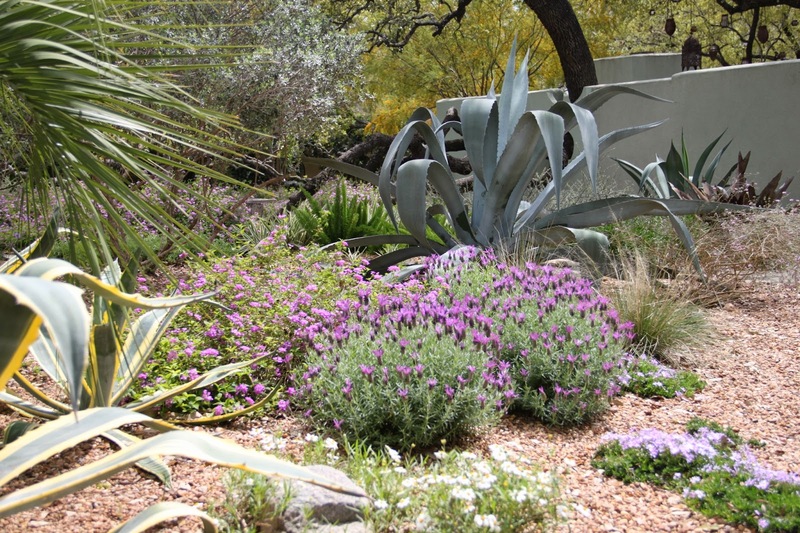 I was thrilled to be invited back for a spring visit a few weeks ago to this peaceful garden I toured last fall during the Watersaver Landscape Tour. Spanish Lavender is a spring bloomer as is the phlox in the lower right. Linking up with Loree at Danger Garden to share a few of my favorite plants in the garden for April. 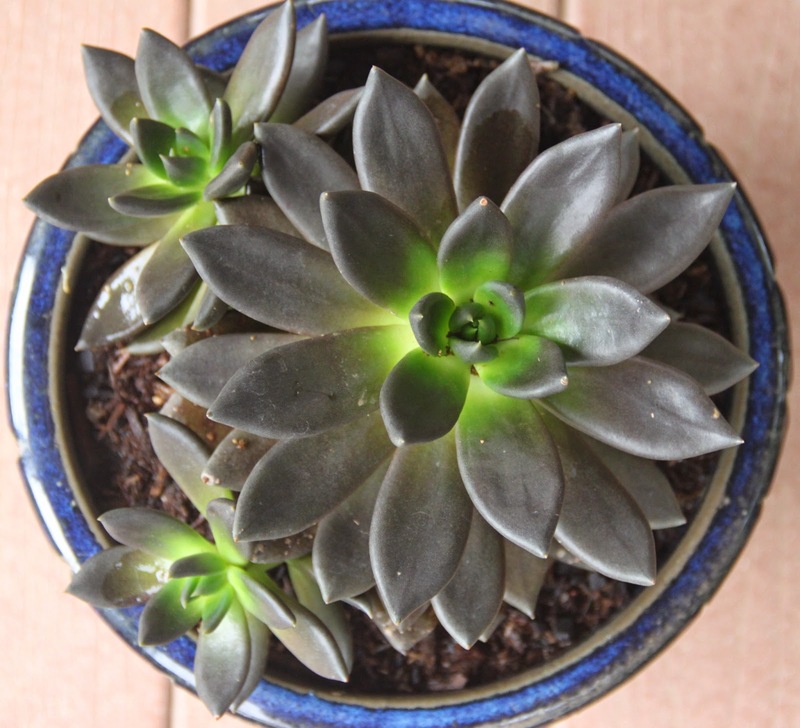 These also happen to be some of the newest plants. Echeveria 'Black Knight' from a recent visit to The Antique Rose Emporium in Brenham, Texas. Labels: Agave paryii, Echeveria 'Black Knight', Opuntia vulgaris variegata. It's Wildflower Wednesday when bloggers are invited by Gail at Clay and Limestone to post on wildflowers in our gardens. I'm pushing the rules a bit this month with flowers from a local park. On Monday I joined members of the Gardening Volunteers of South Texas for a wildflower walk in Phil Hardberger Park led by Wendy Leonard, park naturalist for the City of San Antonio. 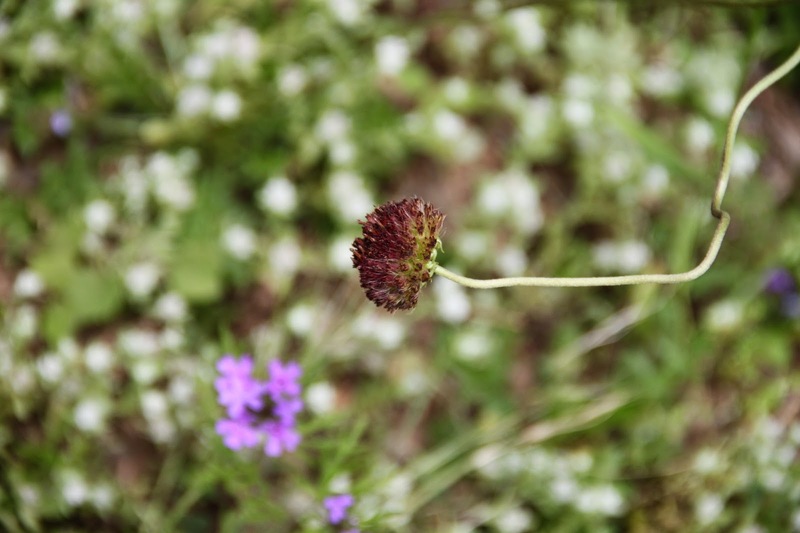 While the masses of wildflowers lining Texas roadways in the spring are legendary, Wendy focused on the smaller flowers growing in restoration areas of the park. One crowd favorite was the Pincushion Daisy (Gaillardia suavis). It's a (mostly) petal-less flower with a wonderfully spicy fragrance that lends it another common name of Perfumeballs. Jenny already called it in her Rock Rose blog post: a perfect day in her garden. Way back in June of 2014 when I asked Jenny to be a docent for my garden club's tour of the Lady Bird Johnson Wildflower Center she also invited us to tour her own garden. All of us. Of course, I jumped at the chance and added it to our agenda. Garden club meetings are the second Wednesday of each month so the date was fixed no matter the weather or Jenny's recent hip surgery. It couldn't have been a better day. We were greeted with masses of Bluebonnets at peak bloom. A few weeks ago we toured Festival Hill at Round Top, a retreat and performance center for musicians just a few hours east of San Antonio. After visiting gardens near the Menke House we drove over to the Albert and Ethel Herzstein Memorial Plaza to continue our tour. The Herzsteins were philanthropists from Houston who supported Festival Hill through their foundation. 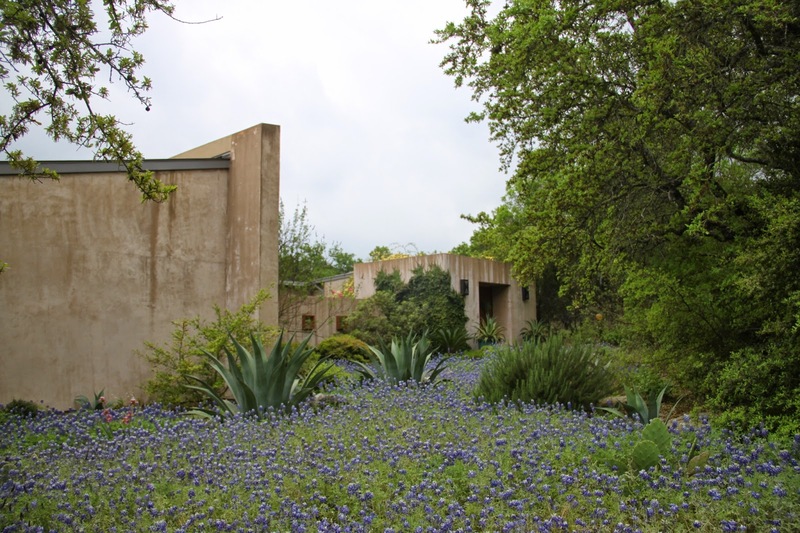 We recently toured the beautiful gardens at Festival Hill in Round Top, Texas. The gardens have so many interesting features that I've divided the photos into several posts. This post covers the Pharmacy Garden, Greenhouse, and Lake located just behind the Menke House featured in the last post. The Pharmacy Garden is organized in raised beds of textured stucco or concrete. We're touring the gardens and grounds of Festival Hill, a performance and learning center for musicians, in Round Top, Texas. 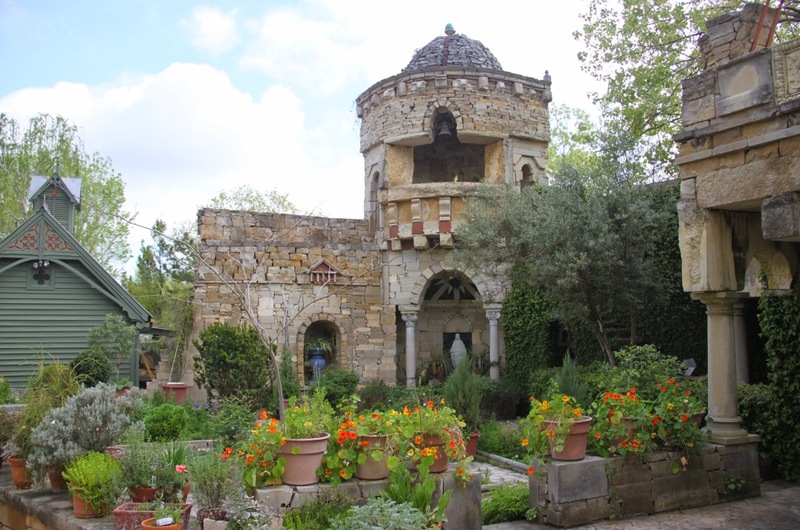 In the last post I showed you the Roman Ruin garden and in this post we're touring the Shakespeare Garden. Over a recent weekend we headed east a few hours to visit family and tour some very special gardens. Festival Hill at Round Top is a retreat for musicians from all over the world. 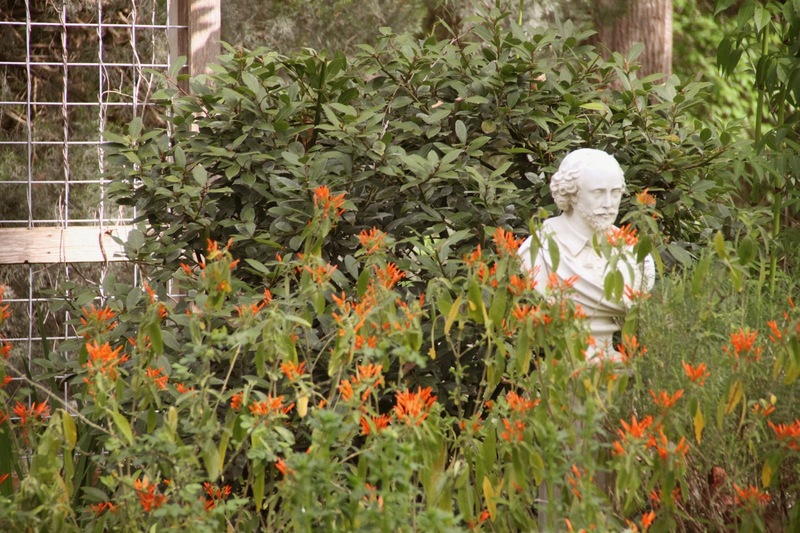 In addition to hosting a popular concert series, their beautiful grounds are open to the public. 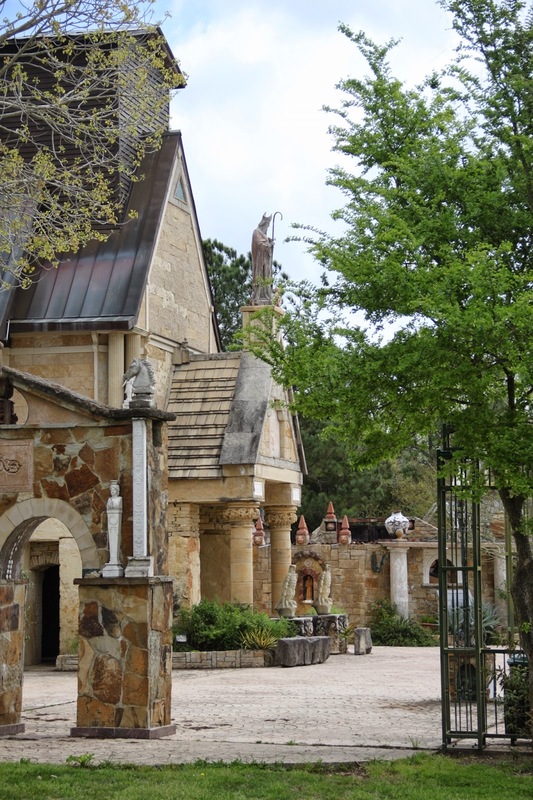 We'll begin in the herb garden called The Roman Ruins built in 1993 to house the collection of well-known Texas herbalist Madalene Hill. 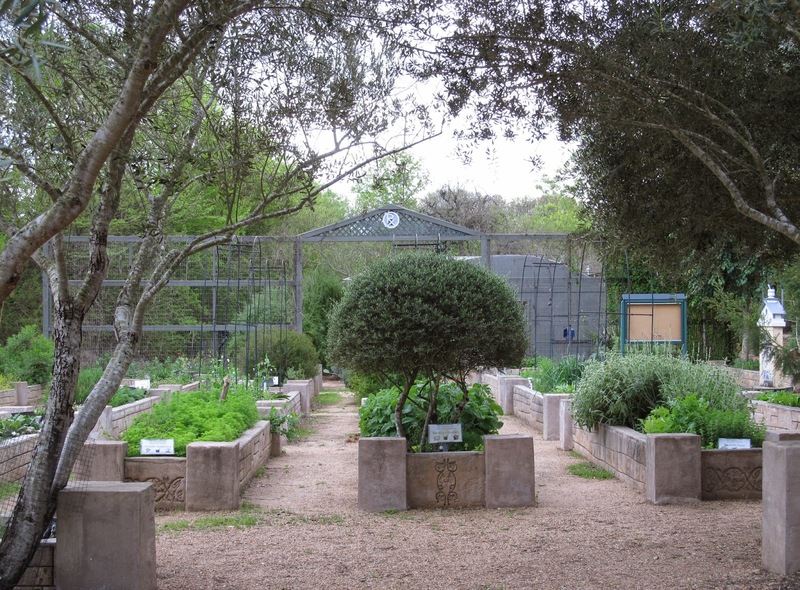 It is a beautiful tribute to her decades of work on growing herbs in hot, humid Texas. 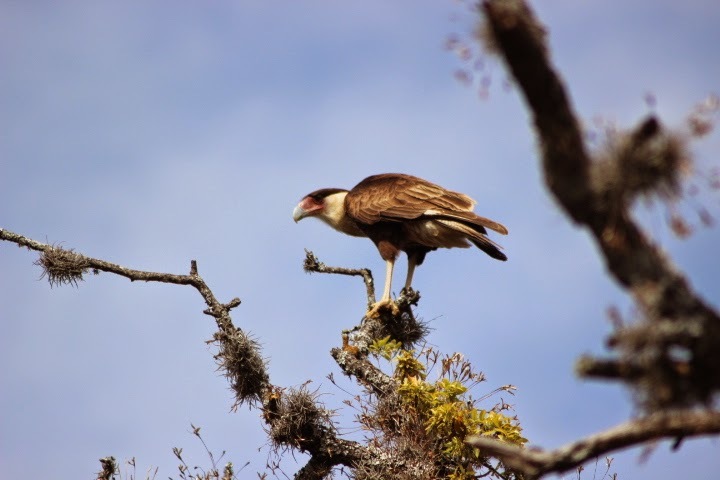 A rather magnificent bird perched in the trees behind our house last week and I'm joining Tina at My Gardener Says.... to share this special event. I had never seen one before. In fact, there was a pair of them.